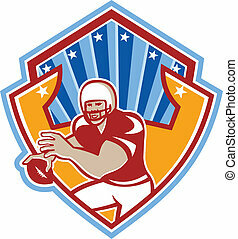 Illustration of an american football gridiron quarterback player throwing ball facing side set inside crest shield with stars and stripes flag done in retro style. 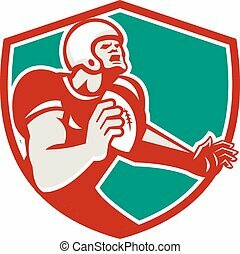 Illustration of an american football gridiron quarterback player throw ball facing front set inside crest shield on isolated background done in retro style. 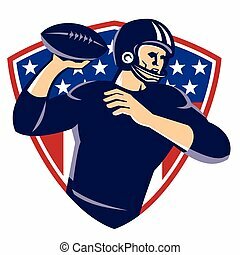 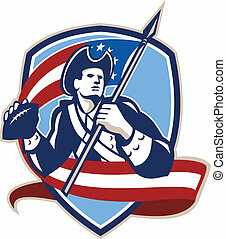 Illustration of an american patriot soldier football gridiron quarterback passing ball facing side carrying stars and stripes flag set inside crest shield done in retro style. 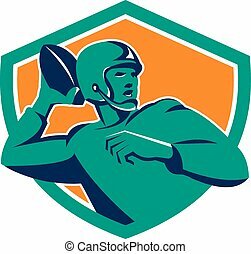 vector illustration of an american quarterback football player passing ball set inside shield with stars done in retro style. 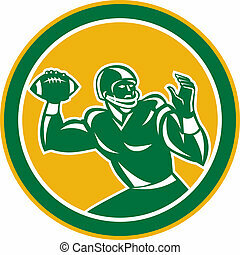 Illustration of an american football gridiron quarterback player throwing passing ball facing side set inside circle on isolated background done in retro style. 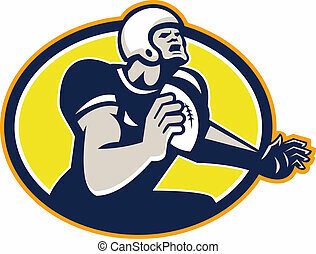 Illustration of an american football gridiron player fullback holding ball viewed from front set inside shield on isolated background done in cartoon style. 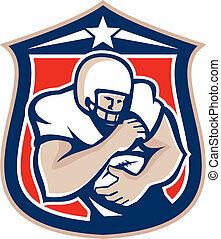 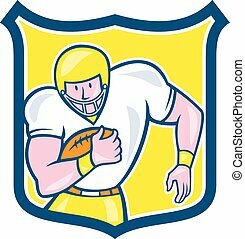 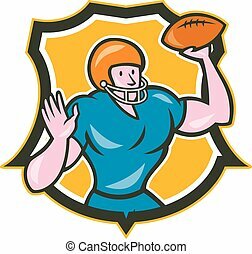 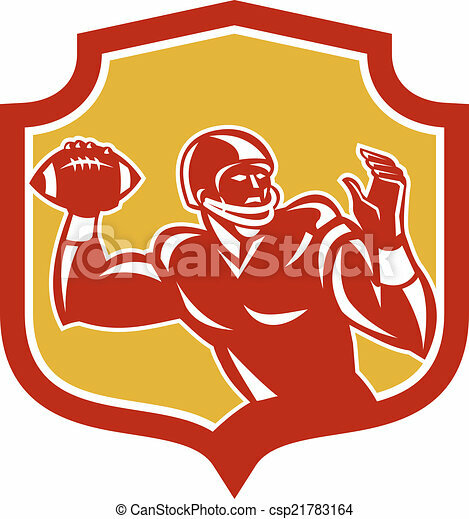 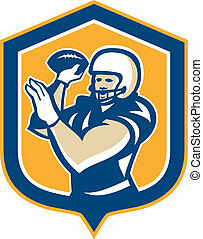 Illustration of an american football gridiron quarterback player throwing ball facing side set inside crest shield in background done in cartoon style. 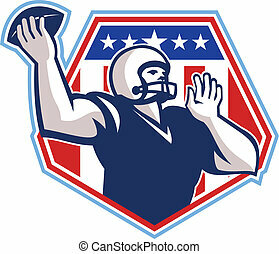 Illustration of an american football gridiron quarterback player throwing ball facing side set inside circle on isolated background done in retro style. 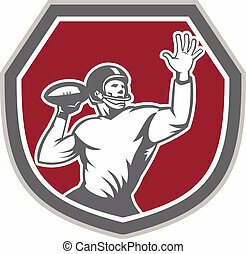 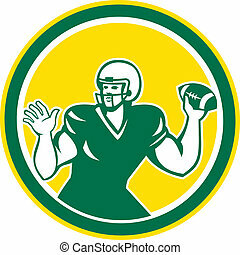 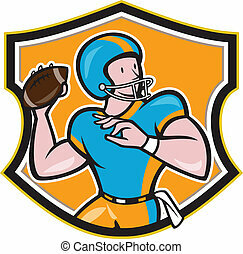 Illustration of an american football gridiron quarterback qb throwing ball set inside shield crest on isolated background done in cartoon style.